Did you know that in order for a GPS to tell you where you are, it needs no fewer than three satellites to get a “fix” on your location? Christian morality isn’t too different. We Christians typically rely on at least three “sites” in the Scriptures to get a fix on how to live: the Ten Commandments, Jesus’ Great Commandments, and the Beatitudes, in which we are welcomed into the very heart of Jesus’ teaching. 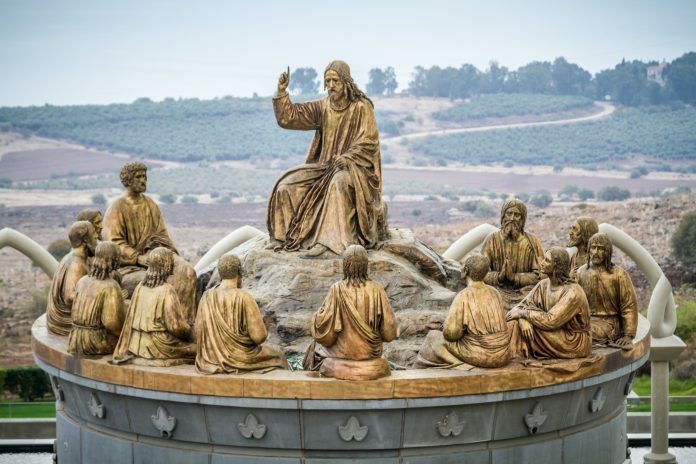 The Catechism of the Catholic Church (CCC) puts the Beatitudes in a place of priority near the beginning of the section on moral living (Part 3, Life in Christ, nos. 1716-1729) with this explanation: “The Beatitudes are at the heart of Jesus’ preaching. They take up the promises made to the chosen people since Abraham. The Beatitudes fulfill the promises by ordering them no longer merely to the possession of a territory, but to the Kingdom of heaven…” (n. 1716). The Gospels of Matthew and Luke contain different versions of the Beatitudes. Matthew’s is directed at a Jewish audience, whereas Luke is speaking to Gentiles. Let’s explore Matthew. Take a few quiet moments to prayerfully read Matthew’s version (5:1-12). Surely Jesus can’t be serious! Further, the Greek word for blessed, makarios, can also be translated “happy,” which induces more incredulity: How can it be that happiness results from mourning, meekness, and poverty? Obviously there is a deeper wisdom here, to be understood in its broader context in Matthew’s Gospel. Scripture scholars agree that “the Kingdom of Heaven” is the centerpiece of Jesus’ teaching in Matthew. The Beatitudes are a central part of Jesus’ larger teaching on the Kingdom of Heaven, which is mysteriously both now and not yet, both heavenly and “at hand” (Matthew 3:2; 4:17). From the Catechism: “The Decalogue, the Sermon on the Mount, and the apostolic catechesis describe for us the paths that lead to the Kingdom of heaven. Sustained by the grace of the Holy Spirit, we tread them, step by step, by everyday acts. By the working of the Word of Christ, we slowly bear fruit in the Church to the glory of God” (n.1724). We have in Matthew’s Beatitudes a description of discipleship, a snapshot of the desired outcome(s) of all our catechesis: people who live with God/Christ/Spirit at the center of their lives, and whose lives provide salt, light, and leaven for the life of the world. The integrity and authenticity in their discipleship leads them to be peacemakers, to suffer rejection for righteousness’ sake, to bring to the world purity of heart, mercy, and, above all, love. Thus it is clear that the Ten Commandments are only a starting point for moral formation. Jesus calls his followers to so much more: a life of abundant blessing and happiness, as described in John’s Gospel: “I came so that they might have life and have it more abundantly” (10:10). This isn’t the so-called “prosperity gospel” of today’s TV preachers. Luke’s Beatitudes clearly say otherwise (Luke 6:20-26). To his “blessed,” Luke adds a series of “woes” that serve to sharpen the message: “But woe to you who are rich, for you have received your consolation. But woe to you who are filled now, for you will be hungry. Woe to you who laugh now, for you will grieve and weep. Woe to you when all speak well of you, for their ancestors treated the false prophets in this way” (Luke 6:24-26). In short, those who look to the things of this world to fill the void that only God can fill will experience woe instead of blessing and happiness. Living in Christ is its own blessing. In fact, the blessing, now and for all time. And those who are lost (i.e., with one’s inner GPS obstructed or simply switched off) live the woe of separation from God. Both Matthew and Luke declare the universal message of Jesus: The Kingdom of Heaven is here, now, available, and free. All we need do is live in it and live it out. The Beatitudes show us what this living looks like. Moreover, the findings of the National Study of Youth and Religion (NSYR)5 provide insights into the diminishing role of faith and religion in the United States. 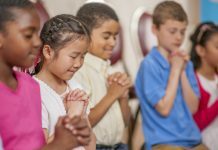 The researchers found that the religions of the young people they interviewed, whether Catholic, Protestant, or Jewish, are being replaced by a watered-down set of beliefs they called “Moralistic Therapeutic Deism”6: There is a God like a “divine butler” waiting in the wings to help when we get in trouble; God exists to make us happy, and wants us to be nice; and nice people go to heaven. The research says that this belief system is like a cancer gradually replacing the healthy cells of faith with a trivial and impotent substitute, not just in young people but in their parents and families as well. Put simply, God wants our happiness, and God is our happiness. Are we living what’s been called “the God-bearing life”7 or do we need to return and drink long and deeply at the well of grace that is the bottomless font of our catechesis—via prayer, the Sacraments, scriptural and spiritual reading, with spiritual companions, on retreat, day in and day out? * Study the saints. Pope Benedict suggests that encountering the saints can lead to lives guided by the Beatitudes. He names, among others, St. Francis of Assisi,8 whose story perhaps more than any other shines with the joy, freedom, and true happiness that come from a life lived in Christ. As a young man he gave himself to Christ and, in doing so, rejected a life of wealth and influence. The stories of his life are colorful and capture the imagination, perhaps like no other saint. Why not consider inviting Franciscans to come tell stories of St. Francis and explain his significance in their lives? * Nurture stillness. The Chinese character for “busy” is a combination of two characters: heart and killing.9 In our entertainment-saturated society, incessant activity has become the norm and busyness a bizarre badge of pride. The result? People crave quiet, yet resist it. Creating time and space for quiet attention can be fruitful in our ministry. Perhaps instead of a prayer at the beginning or end of a gathering, we need extended prayer and meditation times in our sessions—without packing those times with readings, music, and talk. Sometimes extended programs like retreats are the only way to break the addictive patterns of busyness and distractions. * Witness. Consider tapping personal stories that contrast with the conventional assumptions about success and point, instead, toward a life lived in Christ. In other words, invite as speakers individuals who have left high-paying jobs in order to serve the poor, who have walked away from money or prestige so as to pursue principle and compassion—people whose lives preach the Beatitudes. How do you find these people? If simply asking around doesn’t work, contact your diocesan mission office and inquire about religious and lay missionaries. It’s best if they’re ordinary people whose decisions and lives can’t be explained away because they’re somehow different or special. * Immersion experiences. Immersion experiences in service, peace, and justice can be moments of conversion when an individual can get perspective, examine assumptions, and make fresh and freer decisions for Christ. One need not leave the country for such experiences. They’re available in our inner cities and immigrant neighborhoods and among the rural poor. * Examinations of conscience. Help people prepare for the Sacrament of Reconciliation through the Beatitudes, emphasizing not just how we’ve sinned, but how we’re following Christ and might better do so. A final caution—and prayer: We don’t “do” the Beatitudes as if they were a set of moral prescriptions. They are what God does in us as we grow in Christ and become his heart and hands: “The Spirit of the Lord is upon me, because he has anointed me to bring glad tidings to the poor. He has sent me to proclaim liberty to captives and recovery of sight to the blind, to let the oppressed go free, and to proclaim a year acceptable to the Lord” (Luke 4:18-19). Cultivating the Beatitudes in others will happen by God’s grace. This is a great consolation: We are but humble messengers. Let us pray that by God’s grace we find ourselves blessed among the poor and meek, and happy among those who hunger and thirst for righteousness, for theirs is the Kingdom of Heaven. 1. For an exploration of the Beatitudes, see Pope Benedict XVI’s book titled Jesus of Nazareth (San Francisco: Ignatius Press, 2007). In this brief article I can only hope to convey some of what he develops there more fully. 2. St. Augustine, Confessions, 10, 20: PL 32, 791. 3. St. Thomas Aquinas, Expos. in symb. apost. I. 4. David R. Loy. “The Religion of the Market,” in Journal of the American Academy of Religion 65 (Spring 1996). 5. Christian Smith with Melinda Lundquist Denton. Soul Searching: The Religious and Spiritual Lives of American Teenagers. NY: Oxford University Press, 2005. 6. Soul Searching, pp. 118-171. 7. Kenda Creasy Dean and Ron Foster. The Godbearing Life: The Art of Soul Tending for Youth Ministry. Nashville, TN: Upper Room Books, 1998. 8. Jesus of Nazareth, pp. 78-79. 9. Wayne Muller. Sabbath: Restoring the Sacred Rhythm of Rest. NY: Bantam Books, 1999, p. 3. 10. St. Augustine, Confessions 1.1. 12. Entertaining Angels, on the life of Dorothy Day. Romero, on Archbishop Oscar Romero. They Killed Sr. Dorothy, on Sr. Dorothy Stang, SND. Dr. Sean Reynolds is Director of the Office of Youth and Young Adult Ministry for the Archdiocese of Cincinnati. With more than 30 years experience in catechetical and youth ministry, Sean is a published author and frequent presenter at national gatherings, including the recent National Symposium on Adolescent Catechesis. Sean Reynolds applies the metaphor of a GPS to appreciate an understanding of Christian morality. The Beatitudes and the Commandments complement one another as navigational directives for a Beatitude way of life. Reynolds invites us to explore Part III of the Catechism of the Catholic Church. Here we discover the Church’s rich wisdom and tradition for reflecting Christ into the world. We realize we are faced with counter-cultural challenges that sidetrack us along life’s pathways. The message is that we don’t “do” the Beatitudes. Rather, it is what God does in us as we grow in Christ each day. It is a journey. It is a process. It requires intentionality—a conscious, contemplative living each day in communion with God. 1. Does Reynolds’ metaphor of a GPS as a guide for Christian morality connect with me? How and why? 3. “Without the Beatitudes, catechesis on the Commandments will likely miss the mark.” What does this mean for how I catechize? 4. How do the references to St. Augustine and St. Thomas Aquinas resonate with my own prayer experiences? 5. What does “discipleship” mean to me? 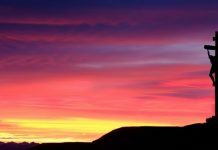 How can I articulate Beatitude living as my authentic call to discipleship? 6. What is my position on Reynolds’ reference to market capitalism? How and why? 7. Reynolds refers to the NSYR research findings in this article. Do I observe similar or different experiences among my learners? What is the short- and long-range impact of these experiences on my understanding of a Beatitude way of life? 8. Do any of the suggestions in “So What Must We Do?” connect with my life? The lives of my learners? How? 9. Read the Catechism of the Catholic Church, Part III, Life in Christ. What additional insights help expand my study of this article? What questions remain for me? 10. What has been the most significant insight or idea I have gleaned from reading and reflecting on this article for enriching my understanding and living of the Beatitudes? 1. Spend quality time in the coming months prayerfully reading Part III (Life in Christ) in the Catechism of the Catholic Church. What new insights or questions do you discover? 2. Write an examination of conscience based on the Beatitudes (Sermon on the Mount). Integrate this examination of conscience into your daily life. 3. Read Matthew 5:1-12 and Luke 6:20-23 versions of the Beatitudes. What new perspective do you glean from prayerfully reflecting on these passages? What difference does it offer your growing appreciation for a Beatitude way of life? 4. Design a prayer experience or a lesson plan that emphasizes how our Catholic lives need to be salt, light, and leaven for the life of the world. 5. Have your students produce media messages that reflect a Catholic counter-cultural perspective on contemporary life (market capitalism) from the students’ perspective. These media messages can be video clips produced with a Flip or computer camera and placed on YouTube, or school or parish websites to witness and proclaim Beatitude living. 6. 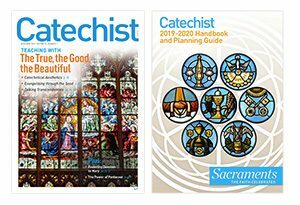 Study the references under Related Readings from the Catechism of the Catholic Church and the National Directory for Catechesis. Identify expanding ideas to complement this article for enhancing your catechetical ministry. Demonstrate how you may integrate these into your curriculum. 7. Have students design a Beatitude e-newspaper that highlights modern-day saints or Beatitude role models. Distribute the e-newsletter right before All Saints Day (November 1). Smith, Christian and Melina Lundquist Denton. Soul Searching: The Religious and Spiritual Lives of American Teenagers. New York: Oxford University Press, 2005. Dean, Kenda Creasy and Ron Foster. The Godbearing Life: The Art of Soul Tending for Youth Ministry. Nashville, TN: Upper Room Books, 1998. Catechism of the Catholic Church. Washington, DC: United States Conference of Catholic Bishops, 1994, chapters 25 through 35. National Directory for Catechesis. Washington, DC: United States Conference of Catholic Bishops, 2005, n. 42A-42E.